By BoltBait, April 4, 2007 in Plugins - Publishing ONLY! I'm still learning how to create complex effect filters for Paint.NET. This is the first one that I wrote that combines preexisting effects. After I wrote this one, I did the Ink Sketch effect. The idea for this plugin came from belman92's post here. I thought that it would be easy to automate the steps that are sometimes used to make portraits look softer and more professional. You can use this on other pictures, but it really is meant for portraits. It adds a little brown to smooth out skin but not too much detail is lost. 2. 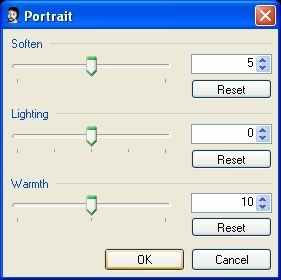 Click the Effects > Portrait menu. To understand this code, first read the Ink Sketch thread. Go ahead, I'll wait. Note: This is NOT a codelab script! Ah! I got BoltBaits in my history window! I'm in ur Paint Dot Net... eatin' ur cookie. Thanks. Those two plugin looks really interesting. I just bought a scanner, so they might come in very handy. When BoltBait jumped in my effects menu, he fixed it! Now I have arrows! BoltBait to the rescue. Thanks for a wonderful portrait plugin! Simplifies process of making older men and women look better!! 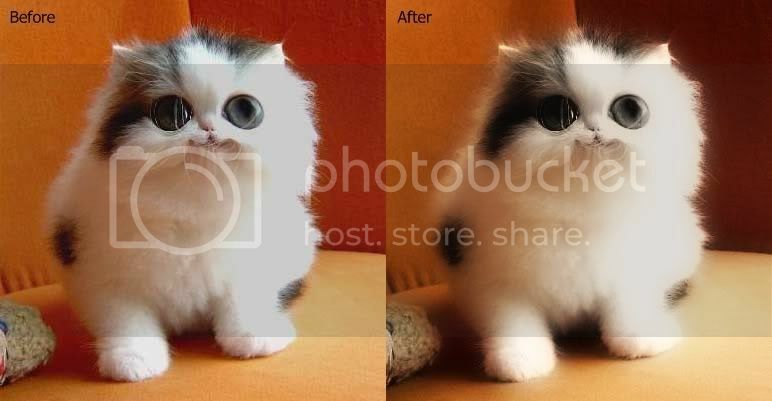 As you can see from Helio's example, not every picture is a good candidate for this plugin. I don't know... every time I post my souce code, you take it, learn from it, and totally show me up by writing a better plugin than me!!! Maybe I'll post the source after I write that Landscape plugin. Looks pretty nice. I have a picture that this can be done to, but its on my crashed hard drive. Great plugin. Works great for other stuff too. wow i'm glad my idea based on hpebley3's orton effect was made into a plugin! great job BoltBait! Another BIG (*very good*) BoltBait's plugin ! wow. I love this plugin! Wow, thats a great plugin! Thanks for sharing it. I added a third slider. I also adjusted what the sliders do. I was never happy with the "feel" of control you had over the results with the old version. Hopefully, you will feel more in control of the effect with this version. See the links in the first post for the download. Rock on BoltBait. You've made one of my favorite plugins even better. Thanks. it makes a picture cherubic in a way! Hey just wanted to say how much I love this plugin and it's integration into the core program. I actually like the effect more on non-portrait things like skyscrapers and shadowy areas, although it does do good work on portraits too as you can see in the first example. I love Paint.net but I was curious how to make a similar effect in other programs (moving to Mac soon), I see the blur but where does the glow come from?